Does the sight of a lizard send a shiver down your spine? Well, chances are that your little kid might be intrigued by this miniature reptile. Lizards may vary in size and can also be quite harmless or extremely dangerous, for example the Komodo Dragon. 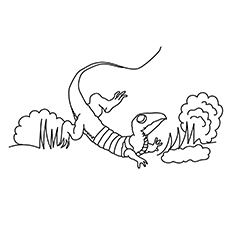 These lizard coloring pictures can be quite fun and exciting for your little boy to color because he might already have an iguana as a pet in the house. Therefore, make the exercise interesting with the help of fun facts. This picture highlights a lizard with scales on its body. This picture is apt for children who have just started learning how to color. The scales on the lizard’s body are quite hard and sharp. 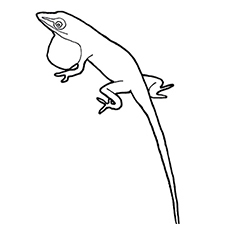 This picture showcases a lizard with an upright posture. Your kid would be interested to know about the kind of colors he will require to use. Therefore, show him a sample of a colored lizard image. 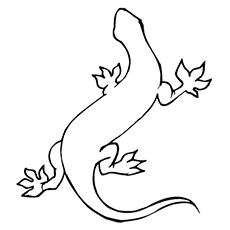 Lizards are very alert reptiles and can easily detach their tail if their predators get a grip on it. 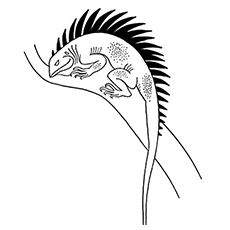 This picture showcases the iguana with its complex body structure. Ask your kid to use bold hues like green and yellow to color the picture. Iguanas are also cold-blooded like the rest of the lizard family and are mostly found in South America. This picture showcases a monitor lizard perched on a branch of a tree. Monitor lizards are classified as ancient reptiles and they will remind your kid of the dinosaur age. This picture shows the green iguana. This picture will help your kid focus on minute details when coloring. Green iguanas are usually kept as pets because they pose no significant threat to human beings. The dark outlines of the picture will help your child focus better when coloring. 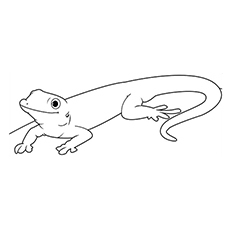 Geckos do not have eyelids and are also equipped with unique toes which allow them to climb well. This picture showcases the monitor lizard in its natural habitat. Your child might require assistance while coloring the picture, especially if he is below the age of 5 years. This species of lizards are quite intelligent and can recognize numbers up to 6. This picture is relatively simple to color and you can be assured that your kid will do a good job with it. 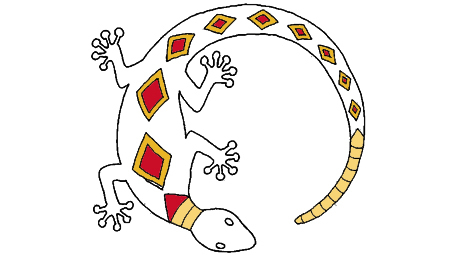 Geckos usually catch insects to eat with their tongues which have a sticky residue at the end of it. 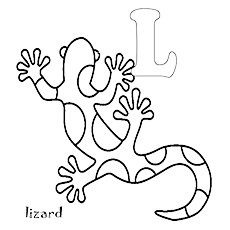 This picture highlights that the word ‘Lizards’ starts with the alphabet ‘L’. He will also be able to write the word ‘lizard’ in the space provided below. 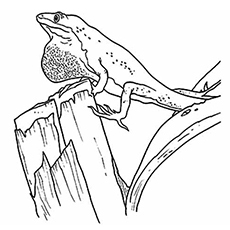 This image shows a lizard with hanging skin sitting on a thick branch of a tree. Help your kid to use different colors for the branch and lizard. 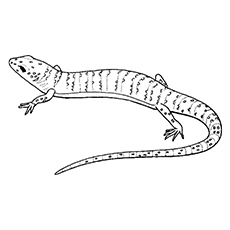 Lizards have hanging skin which resemble tattered rage. They also shed their skin at least twice a year. 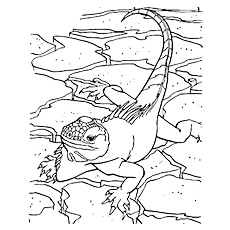 These free printable lizard coloring pages online will definitely interest your kid as it showcases the various types of lizards. He might also want to experiment with bold hues to make them look colorful. 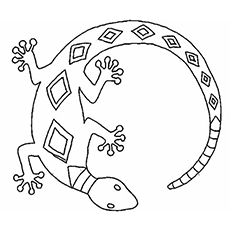 You can share your kids’ experiences when coloring these lizard coloring pages printable in the comment section.